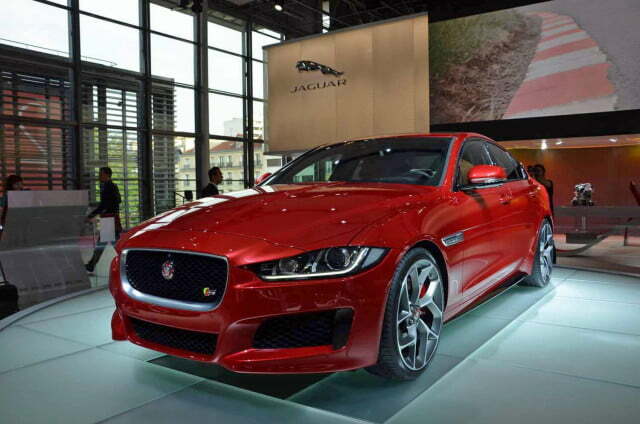 Can Jaguar’s 2016 XE mid-size wildcat sports sedan take down the BMW 3 Series? 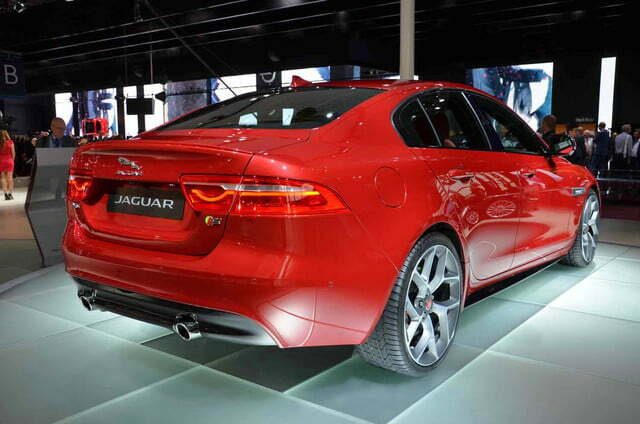 After months of hype, the 2016 Jaguar XE is finally here. 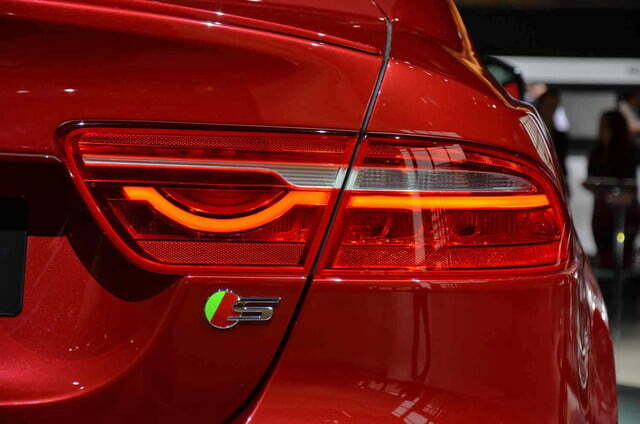 Over the past several months, Jag has boasted that this smaller sedan will not only take on the vaunted BMW 3 Series, but also set new standards of efficiency for the brand. 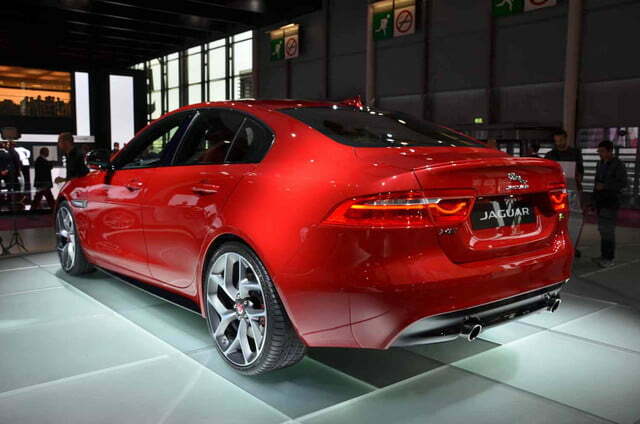 Is the XE really that good? Lets dive right in. 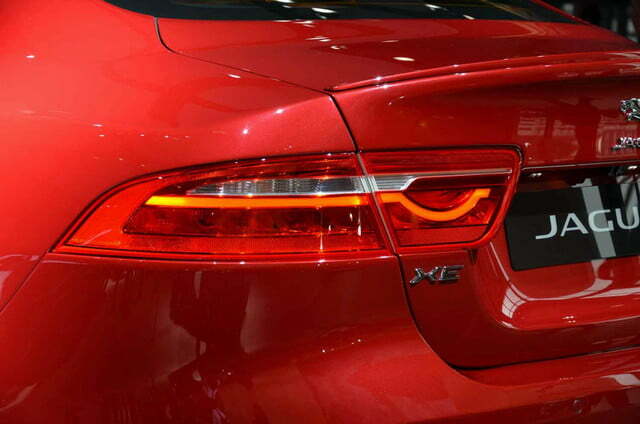 As hinted at in numerous teaser images, the XE looks essentially like a scaled-down XF, which isn’t a bad thing. The smaller sedan gets sharper headlights and taillights, a squared-off grille, and larger front air intakes for a more aggressive look. That sleek sheetmetal is mostly aluminum, including an alloy called RC 5754 that’s made from recycled materials. Jaguar has built aluminum-intensive cars before, but the XE will be the largest-volume application of the lightweight metal to date. 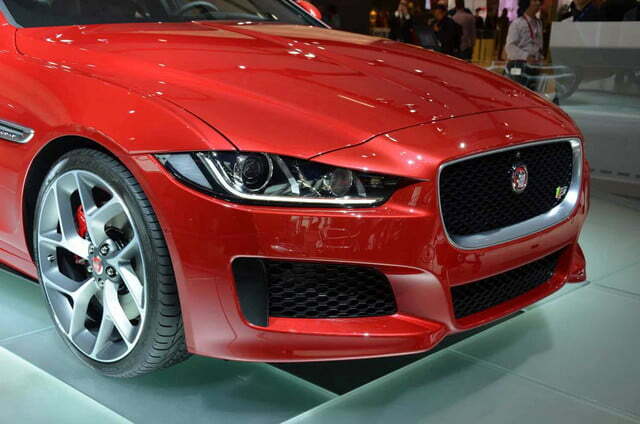 A variety of new engines will push that lightweight chassis once global XE production goes into full swing, but for now Jag is only talking about the sporty XE S. It gets a supercharged 3.0-liter V6 cribbed from the F-TYPE. With 340 horsepower and 332 pound-feet of torque on tap, the XE S will do 0 to 60 mph in 4.9 seconds, and reach an (electronically) limited top speed of 155 mph. The only available transmission is an eight-speed automatic, which drives the rear wheels. 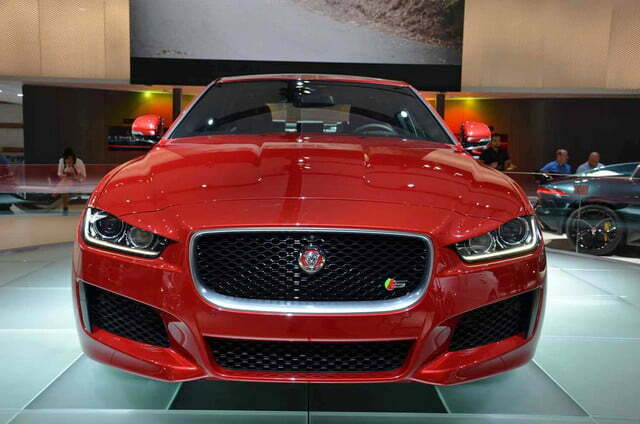 At a later date Jaguar will also offer the XE with its new Ingenium line of four-cylinder engines. These downsized engines will emphasize efficiency, but should still be decently sporty. The interior should look familiar to current Jaguar owners. The brand’s rotary shift knob is prominently placed in the center console, and the gauge cluster is taken straight from the F-TYPE. 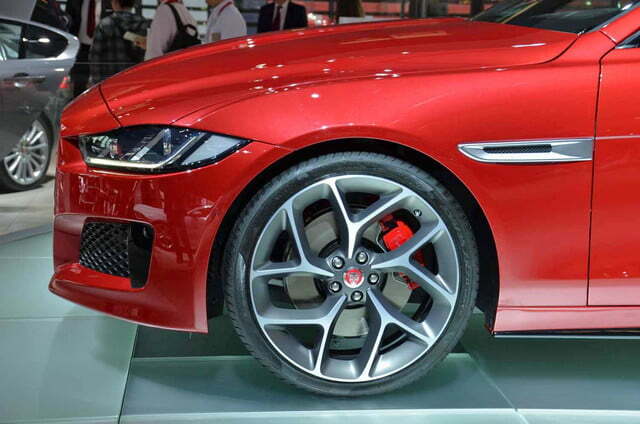 The steering wheel also looks like it was borrowed from the Jaguar sports car and, for the first time ever in a production Jag, it’s connected to electric power assist for added efficiency. The XE also boasts a new Jaguar InControl infotainment system, which includes seemingly-obligatory functions like voice-controlled navigation, an app suite that allows drivers to stream smartphone-based content into the car, and an InControl Remote app (for iOS and Android) that lets owners monitor their cars from afar. Rounding out the tech buffet is All Surface Progress Control, which precisely meters braking at low speeds, an optional automatic braking system with stereo cameras, and an optional laser head-up display. 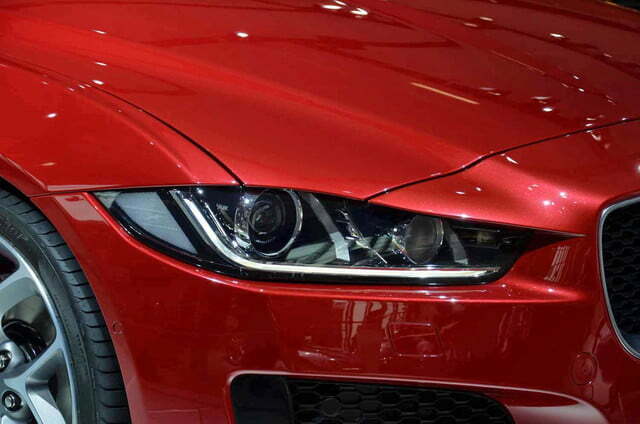 That impressive equipment list certainly makes the 2016 Jaguar XE look like a 3 Series killer, but of course we won’t know for sure until we can get behind the wheel. That may take awhile. 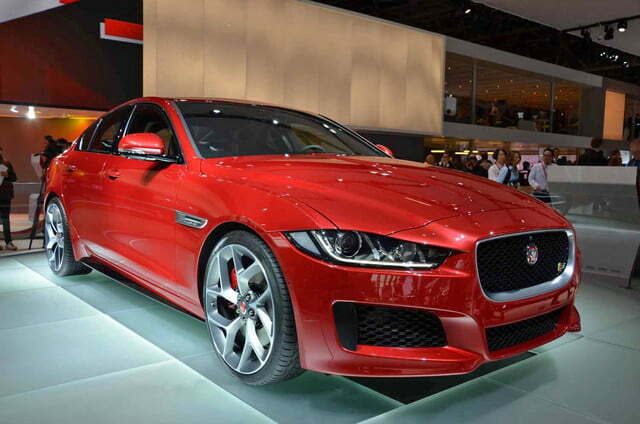 The XE goes on sale in certain markets next year, but won’t arrive in the U.S. until 2016.